DalmDad's Photo and Travel Blog: Scary Place! Halloween! 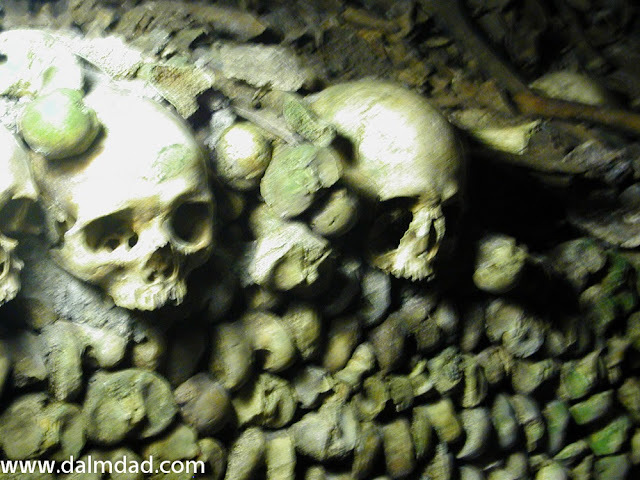 As part of our Halloween series, I would like to give you the experience of walking through the Catacombs of Paris. 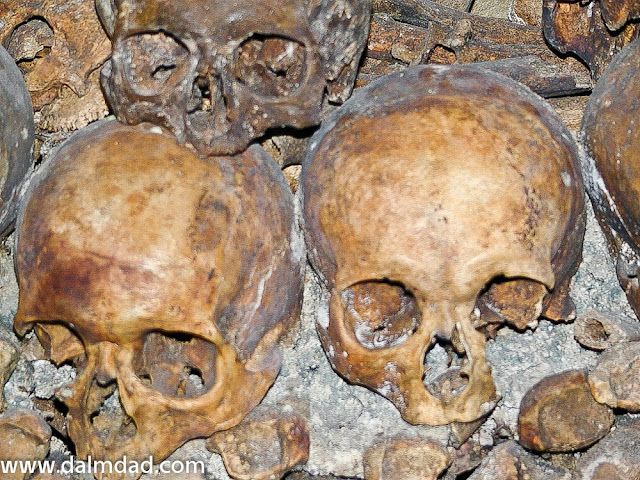 We were lucky enough to visit the Catacombs in 2003. If you are going to visit the Catacombs, keep in mind that for a long portion of the beginning of the tunnel, there is nothing to see. After descending a narrow spiral stone stairwell of 19 meters to the darkness and silence broken only by the gurgling of a hidden aqueduct channeling local springs away from the area, and after passing through a long (about 1.5 km) and twisting hallway of mortared stone, thats about all the excitement there was. I was getting depressed; I was like, "So where are the skulls and bones?" Well, ask and ye shall receive. Or, ask and I will show you! Hey. Where is my jaw? Someone took my jaw! Kind of gives an alien vibe. The Catacombs contain the remains of approximately six million Parisians. The first known visitor was France's King Charles X in 1787. The first known public visits only began after the 1814-1815 war. The Catacombs were closed completely from 1833 because of church opposition to exposing 'sacred' human bones to public display. Some of the bone arrangements are almost artistic in nature, such as a heart-shaped outline in one wall formed with skulls embedded in surrounding tibias. The tomb of Philibert Aspairt, lost in the Catacombs in 1793 and found 11 years later, is located in the Catacombs on the spot where his body was found. 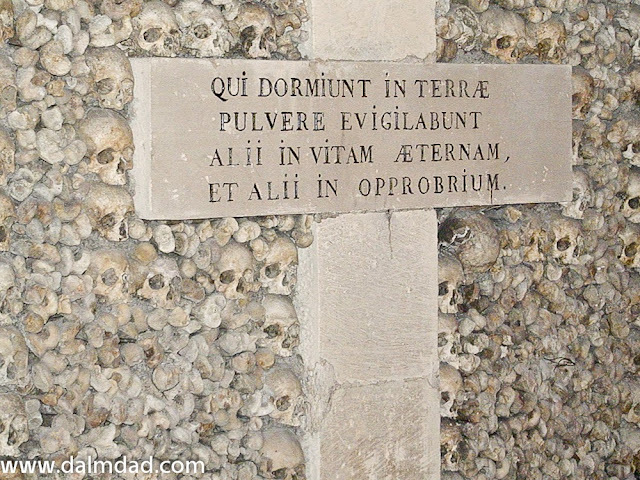 Because the Catacombs are right under the Paris streets, large foundations cannot be built. For this reason, there are not many tall buildings in this area of Paris. 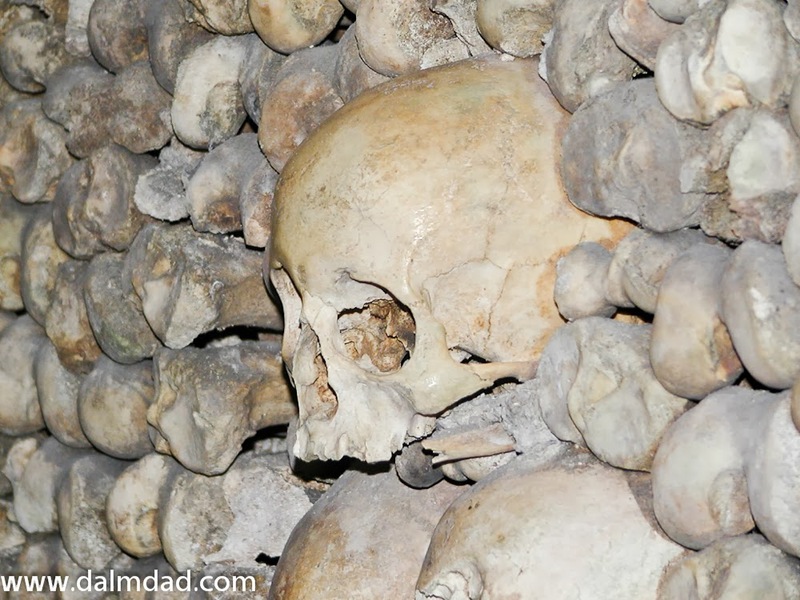 The temperature in the Catacombs is a constant 57F/14C. The perfect acoustics of the Catacombs spurred a 19th-century "underground" concert of Chopin and Beethoven. 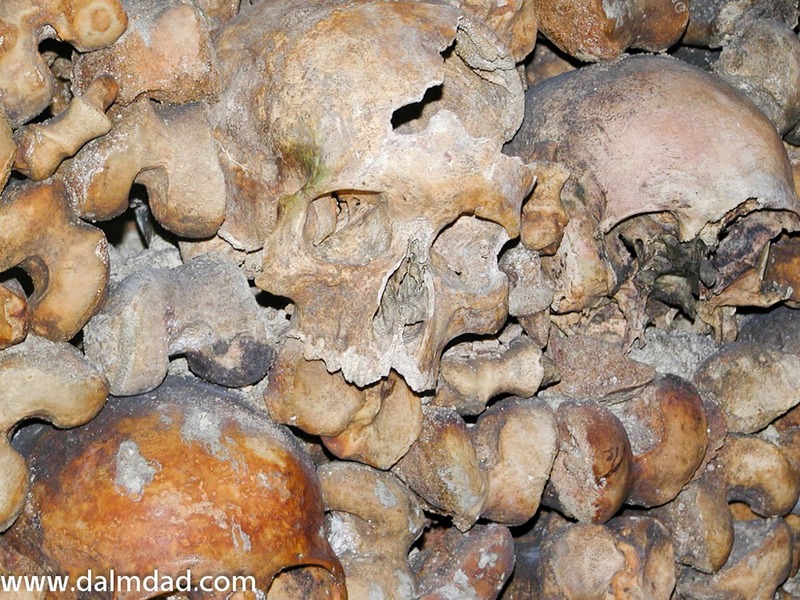 If you would like to visit the Catacombs, its official website is here.